Chico, CA—November 17, 2014—For the finale of its five-bottle 2014 Harvest series, Sierra Nevada Brewing Co. is showcasing the wild Neomexicanus hop for the first time on a national stage. Originally found during a backcountry quest in the foothills of Taos, New Mexico, the bizarre cones of the Neomexicanus hop produce multiple heads—aptly nicknamed Medusa—and Harvest Wild Hop IPA boasts their vibrant melon, apricot and citrus aromas. The 24-ounce bottles ship to distributors starting this week and will be available through January 2015. 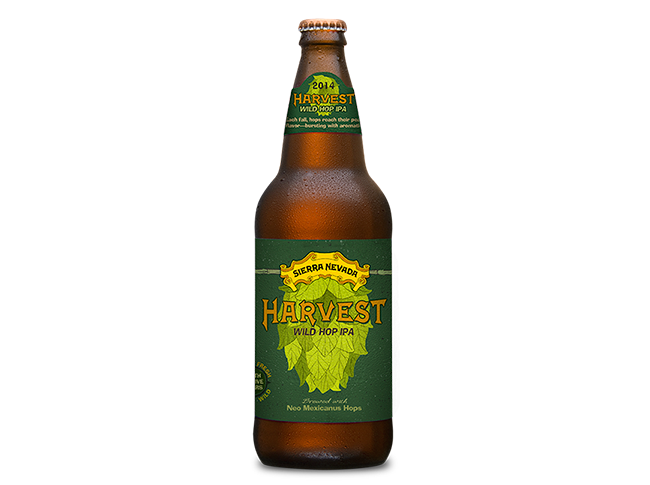 Throughout 2014, the inaugural Harvest series explored newly developed hop varieties and different hopping methods: single hop (Yakima 291 and Equinox), fresh hop (Southern Hemisphere Harvest®), wet hop (Northern Hemisphere Harvest®), and wild hop. Sierra Nevada will reimagine the Harvest series for 2015, with the first release slated for February. Founded in 1980, Sierra Nevada Brewing Co. is one of America’s premier craft breweries, highly regarded for using only whole-cone hops and the finest quality ingredients. The pioneering spirit that launched Sierra Nevada spans more than three decades, with innovation emerging from both the brewhouse and sustainability initiatives. Sierra Nevada has set the standard for artisan brewers worldwide as a winner of numerous awards for its extensive line of beers including Pale Ale, Torpedo®, Porter, Stout, Kellerweis® and a host of seasonal, specialty and limited release beers.